29.85 acres with lush vegetation and mountain views. Level site in rapidly growing Twin Peaks Corridor area. Near Cascada and Dove Mountain. Site is 1 mile south of Tangerine and 1/4 mile west of Twin Peaks. 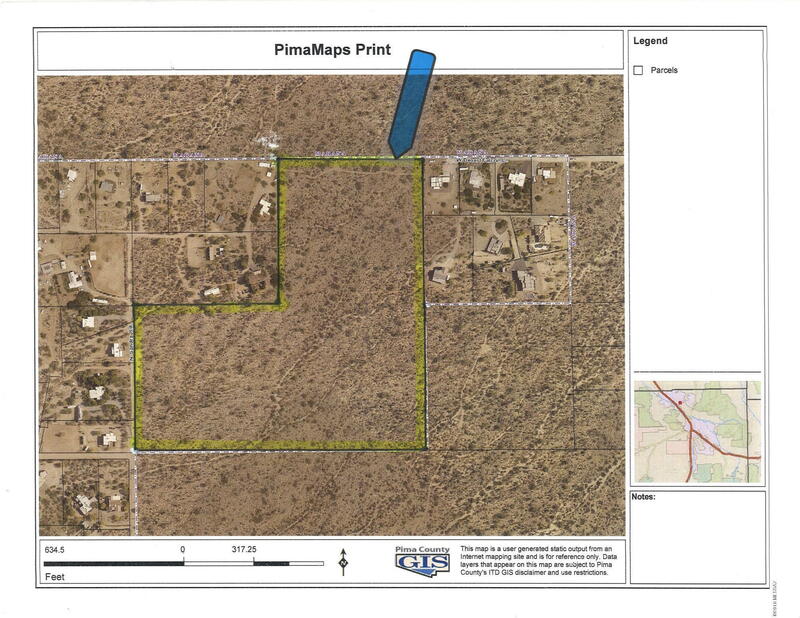 Property is zoned GR-1 in Pima County allowing for 1 Acre lots. Possible to annex to the Town of Marana and create a subdivision of 1 Acre lots or rezone property to the potential of 2 Units per Acre. Will be necessary to bring municipal water to the site or drill a well. Property would also be excellent for lot splits. There are few parcels of this size available in this area. Over 700 lots planned in the immediate vicinity. Pima County sewer is being run north along Twin Peaks Road to Tangerine and an adjacent easement for a potential water line. Seller related to Listing Broker. Directions - From Tangerine Road, South on Twin Peaks Road 1 Mile, West, Right on Desert Falcon Lane 1/4 mile to property.